You may know about popular stress management techniques. But did you know that there are some unconventional, productive and creative stress relievers you can work into your day? You may not think of them formally as stress management techniques, but the following stress relievers can help you feel more relaxed and enjoy life more, and get other things done, too. Throw on some music and de-clutter a drawer, a room, or your whole house. Spray and wipe your windows and watch the nice pattern you create, or let your hands bathe in the sudsy warm water as you wash dishes. Repetitive movement of dusting can lull you into a near-meditative state, the vigorous physical activity of washing vacuuming your carpets can release stress from your body, rewarding you with a cleaner space and more soothing surroundings when you’re done! 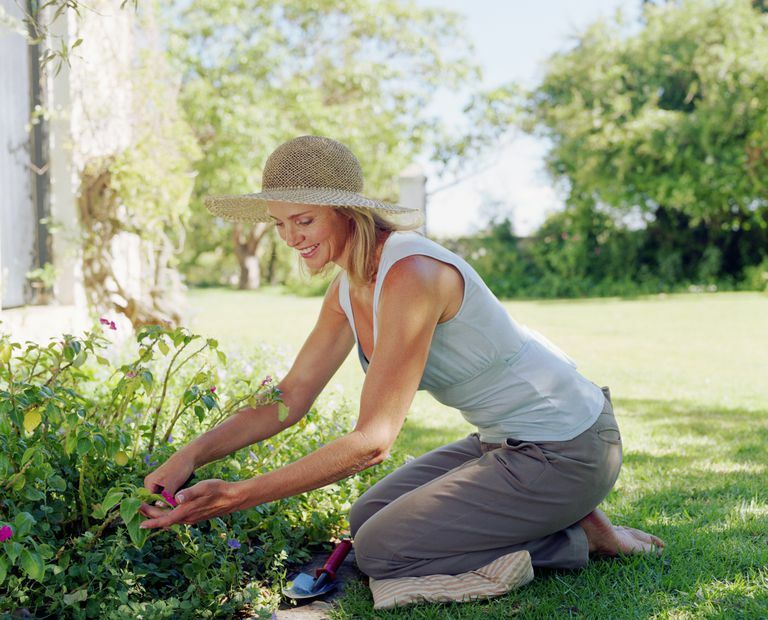 The physical activity of digging, pulling and planting can be a great stress release, while sunshine is a great source of vitamin D and inner peace. Planting, fertilizing and tending a garden of vegetables, flowers or anything else that grows, can be a wonderfully relaxing pastime, with the reward of delicious organic food, a beautiful bouquet, or a gorgeous yard as well! Do you have enough fun? Playful interaction with kids can change your state of mind. If you have small children, do you really play with them, or just supervise? Rolling on the ground with them, kneading play dough, or finger painting a masterpiece can be a great diversion from your stress, and they’ll love it, too. Older kids can be great movie dates, and teens can be good shopping companions. If you don’t have kids, borrow a friend’s. Being present with them can be good for you both. Belting out one of your favorite tunes, either with CD backup or a cappella, can be a great stress release. Loud vocalization releases tension from your body and music can therapeutically take your mind off your troubles. Singing in the shower became a cliché because it’s a great way to start the day, immerse yourself in the experience, and let the noise of the water drown out any flaws in your singing. Singing in the car can also be a great release, perhaps even cutting down on road rage.